This building project in Toronto has a series of townhouses in three rows between two streets and a little alley between the rows of townhouses where lots of plants have been installed to give a sense of privacy. 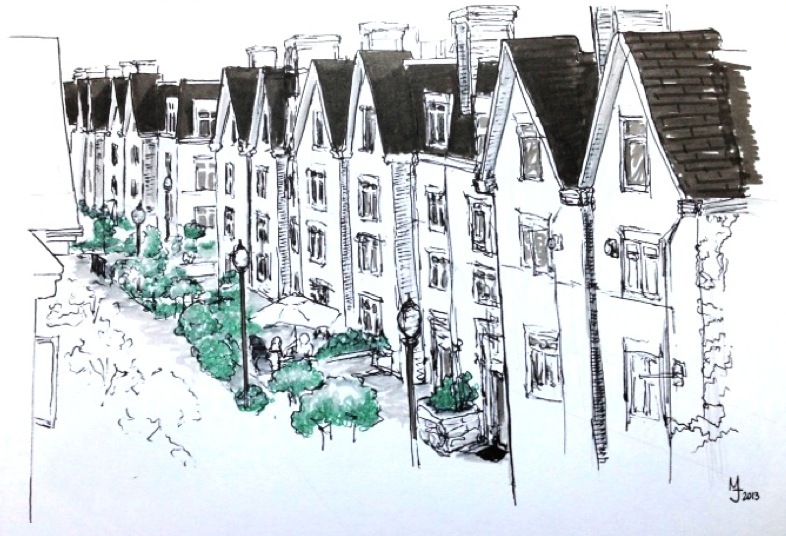 It's interesting to see how townhouses are built in a city and how people make it their own. Most of them are relatively empty, but this one couple was having breakfast under their garden sunshade this morning. Looks like a nice way to start to day if you don't mind all theses windows looking in.